How sweet! You were very fortunate. We were there on a busy day and he fluttered constantly here and there. Despite hanging around, I had to settle for just an OK shot. I’ll have to head back again! DEFINITELY try to visit on a weekday, non-Season! They’re much more relaxed (UNDERSTANDABLY!) with less human traffic. I know it’s easier said than done — with my freelance sked I have leeway. Good luck!! 🙂 Most definitely… Well, I loved him — I hope he liked me, he certainly seemed unperturbed, at least! Heh! I don’t know if I’d try to get so close to a coyote or bear… a finch is different!! 🙂 But I *always* do my best to be respectful above all else to the wildlife. It’s just a photograph, after all — their well-being is the utmost priority, especially these days… I’ve missed many a great shot for the sake of the critter. They’re completely unreal… Around the giant aviary (seemingly bigger than our home), it was like flashes of rainbows darting here and there! Just lovely. Such a beautiful finch! 🙂 Great picture. YOWZERS!!! I mean, truly — YOWZERS!!!! I forgot to add this, for all the kitty people (but of course I just edited it in)… In 1992, the species was classified as endangered in the wild. That same year, Catwoman stuffed a poor Gouldian into her mouth in Batman Returns — some say, to raise awareness for their plight. They’re such delicate, bright little birds… Well, this one was a brave guy. 🙂 Have a lovely weekend, happy Friday! What a beauty! Thanks so much for sharing this! I did not know of this bird. HOLY MOLY – HOW DO YOU DO IT ???!!! JUST INCREDIBLE – I HAVE NO WORDS!!!! 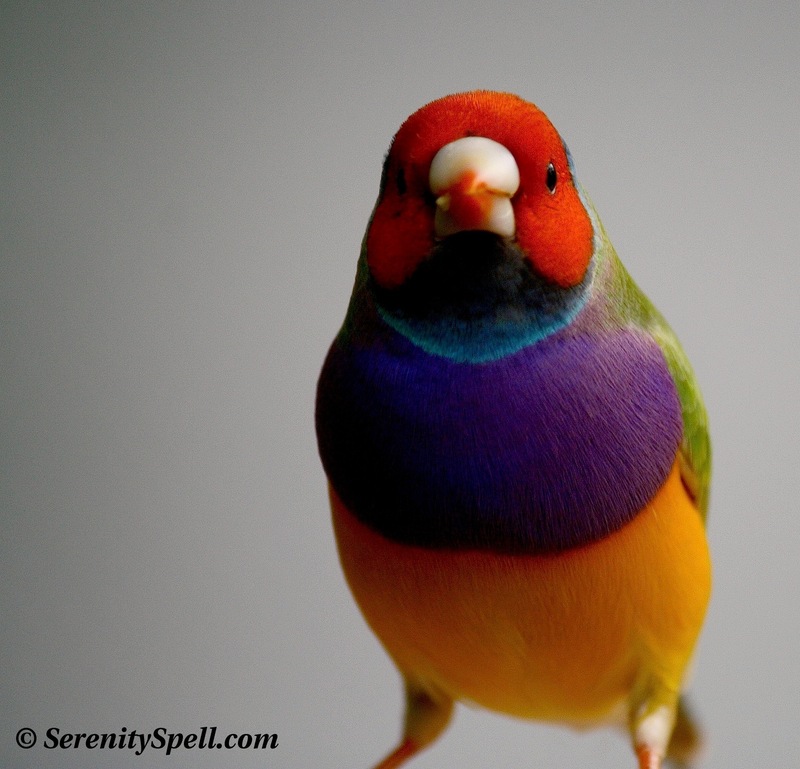 That rainbow finch is glorious. They’re truly amazing little gems… Darting around, they’re simply spectacular! Wow, incredible! I’m with you and I don’t like to see birds in cages either. I support the idea of conservation and cleaning natural habitats for species. Exactly! I don’t think I could bear it… Like all the other species, we must do all we can to protect their worlds. And ours, sheesh. They do manage, but they must long for the wild blue yonder.